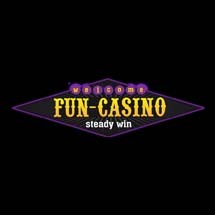 Established in 2014, Fun Casino is a relatively new casino. Fun Casino is a Bitcoin Casino owned and managed by Bitcoin Ecosystem 2013 Casinos. This online casino features a nice array of casino games supplied by SoftSwiss Casino Software. No download is required since players can instantly access the casino in their flash compatible web broswers on laptop, PC or Mac. The website offers support in English and Russian. Bitcoin, Litecoin, Peercoin are the crypto currencies available. Unfortunately, due to strict rules and regulations, Fun Casino is unable to serve players who reside in the United Kingdom, and the United States. Are you looking for an online casino where you can have lots of fun? Well, you should definitely join Fun Casino where fun is ensured by all the exciting games, wonderful graphics and website theme. Fun Casino offers to its players a nice range of popular casino games. Their gaming library includes Card Games, Casual Games, Lottery, Poker Games, Roulette, Slots, and Video Poker Games. Poker Games: Texas Hold’em, Let it Ride, Oasis Poker, Casino Hold’Em, Caribbean Poker, and Trey Poker.